Small businesses often have small email marketing budgets, but that doesn’t mean they can’t be successful. Here are 15 email campaign tips to help. Following on from our blog last week about how office workers are spending a large proportion of the day on emails, here’s a list of tips to help you get the most of your email marketing campaigns. 1. Know who you’re trying to attract. Make sure you have a clear aim for your campaign – are you trying to generate new business or to reconnect with a past lead or customer? 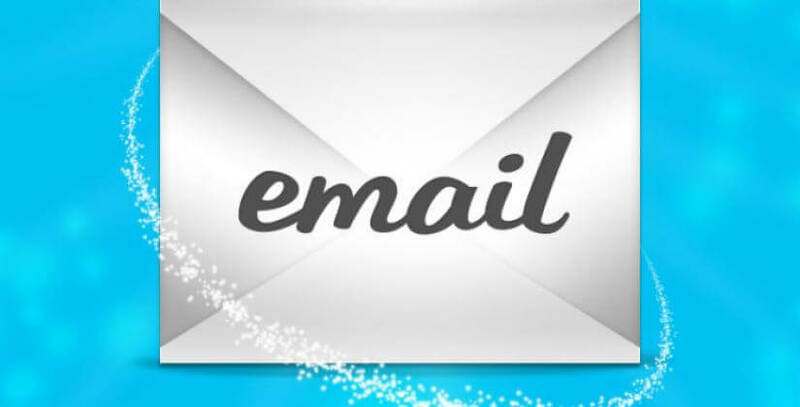 This will determine the content of your emailer. 2. Consider the frequency of your emails. The main reason people unsubscribe from emails is because they receive too many of them. Put yourself in the shoes of the customer and only send an email if you have something to announce, be it a new product, a deal. If you’re not sure how often to send, trial it or better yet, ask your customers how often they’d like to hear from you and then tailor your efforts based on this. 3. Choose the right software. There are plenty of options out there and many are either free for a certain number of users or allow a trial period. Test them out internally and see which is best for your business, based on its functionality and how easy it is for you to use. Most now have templates or the ability to set up templates, so you can create set layouts to reduce time in the future but also ensure your campaign looks consistent with your other branded materials. Check these templates out in different browsers and screen sizes (mobile, tablet and PC) too, to see how they look in each. 4. Make sure you’re within the law. There are anti-spam laws that restrict companies from sending unsolicited marketing emails to individual subscribers, so make sure you’re doing everything correctly to avoid receiving a fine. Make sure you include an unsubscribe link and make your identity clear in your email. 5. Make it easy to subscribe. You may find it useful to have a link on your website or Facebook page that enables visitors to subscribe to your emails or newsletters. Make this as easy as possible to fill in (that is, don’t make it too long), but make sure it includes the key information you need. Keep the subject line short, descriptive and clear, so the reader has enough information and reason to open and read your email. Avoid words such as ‘free, ‘help’, ‘percent off’ and ‘reminder’. Other advice includes trying to make your subject line stand out by making it only a couple of words or one word long, using numbers or by using humour (if appropriate). Put the most important words at the beginning of the subject line, include a deadline if there is one to indicate the urgency and don’t use ALL CAPS – not only does it make it harder to read, it makes it look like you’re shouting and no one wants to hear from companies that shout at them. 7. Personalise your emails. The second most common reason people unsubscribe is because the emails are not relevant. Make sure you’re able to segment your database of contacts, so you’re not sending the same thing to everyone. For example, if a customer has bought a particular product, you could follow this up with an email letting them know of similar or complementary products they might be interested in. Or you could email an offer to customers who haven’t bought from you for a while to re-engage with them. In this way, you personalise the experience and make your marketing efforts more relevant. 8. Edit your text. Write as if your email is just for the recipient, use the words you and consider using power words and numbers (if it’s relevant) as these grab people’s attention. Keep your text short and break it up so it’s easy to scan. Rather than promoting a product, highlight the benefits of the product, or the issues that your particular service would solve. Keep your content ‘on brand’ making it friendly yet professional. 9. Focus on your call to action. What do you want the reader to do after reading your email? Every marketing email should have a call to action (CTA) – the images or text used to get your reader to convert. Clicking on a link is the most common action, whether it’s to visit a products page, claim offer or to register for an event. Make sure the link stands out with good use of white space and button-like designs and think carefully about the wording you use. Words like ‘buy’ may be a little too hard-sell, whereas ‘discover’ or ‘shop’ ask the reader to view your products before committing to buy. Where you place your CTA also makes a difference. Putting it ‘above the fold’ makes it more likely to be seen but they also work well at the bottom of the email (i.e. after your content gives them a reason to click on the link). Only include one call to action to avoid confusing your reader with too many options, although you can include the call to action several times, at different places within your email, e.g. a text-based CTA and an image based one. 10. Encourage recipients to share your emailers and make this as easy as possible for them. After all, most people give more credibility to recommendations from friends than strangers when looking to buy something or searching for a particular service. Also, include all the other ways readers can keep in touch with you, e.g. social media or your blog. 11. Test your emails. Make sure you know what it looks like in different browsers and email software (responsive emails are best to account for mobile users) and reduce the likelihood of your email ending up in the spam folder. Review what it looks like in the preview pane as well as when you open the email. 12. Analyse the results. Review the statistics from your campaigns and consider testing to see whether different call to actions or sending on different days affects your conversion rates. Open rates and click through rates are a good start, but also look at the conversion rates – the number of leads or sales you get from each campaign as well as your subscriber rates. Then use these in turn to tweak and optimise future email campaigns. 13. Learn from others. Look at the emails you subscribe to – what are their subject lines like and what draws your attention or puts you off? There’s always something new to learn. 14. Create a publishing schedule. This way you can make sure you’re sending targeted emails at the right time and that you’re regularly connecting with your customer base. 15. Vary your content. Make sure you’re not just sending the same information and offers to contacts over and over – it’ll just encourage them to hit unsubscribe. Make sure you’re consistently sending something that is of value to them.